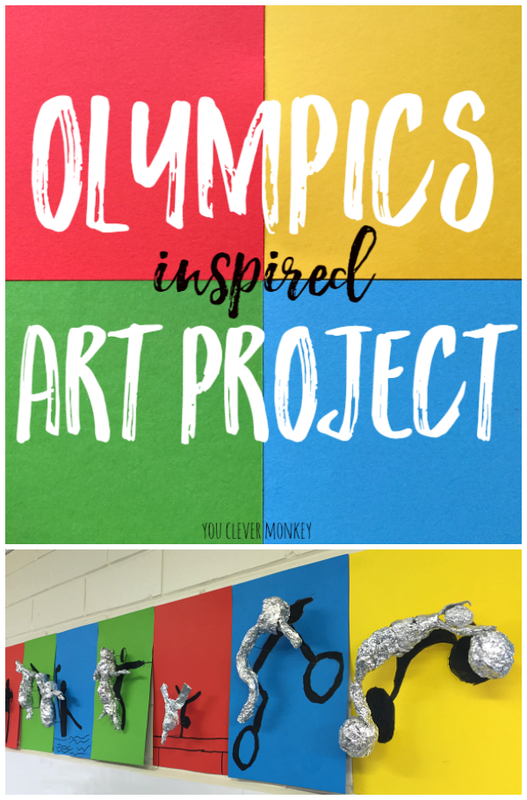 I have loved watching the Rio Olympics as have my class. With so much community and good sportsmanship shown, the 2016 Olympics is truly something to celebrate. There have been plenty of history making moments in many Olympic sports, enough to stop nations around the world so we don't miss them. 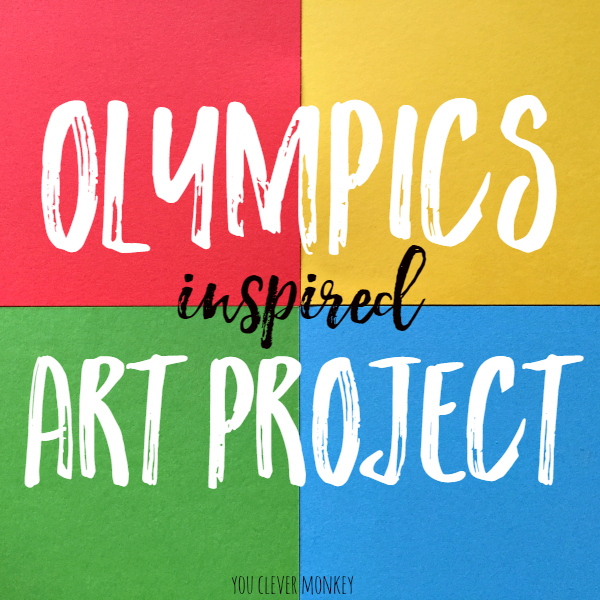 Such has been the enthusiasm for the Olympics, I created this Olympics inspired art project for my students to do this week. 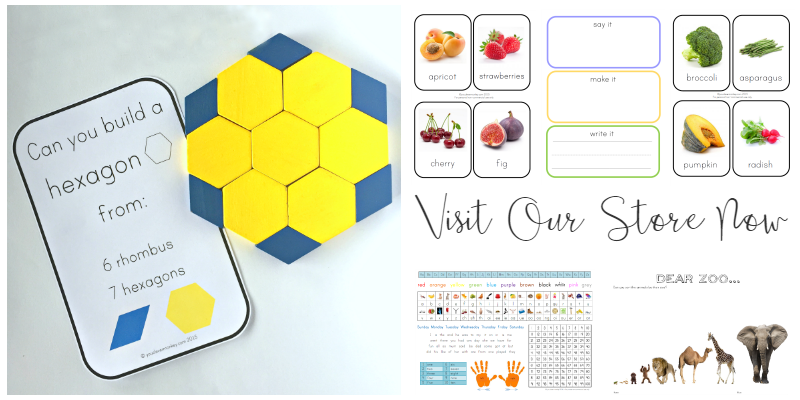 It's an art project suitable for students in the Early Years right through to Middle Primary or Middle School using simple materials found in most schools. To start you will need four different coloured light weight cardstock (I chose the four colours from the Olympic rings), a lead pencil for sketching, and a black pencil or marker for finishing. We then used the Rio Olympic pictograms as our inspiration. Pictograms are a graphic representation of each of the sports at the Olympics and this year, the Paralympics. Each student chose their favourite event from the Olympics which created some great classroom discussion as we worked out what event each pictogram represented. My students then used their lead pencisls to sketch the pictogram onto their card. Once they were happy with their design, they then coloured it in until it was solid black - like the missing Olympic ring colour. 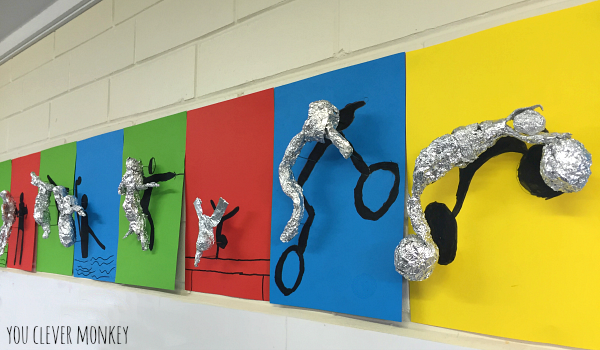 They then tried to recreate their chosen pictogram using kitchen foil or alfoil as a 3D sculpture. When finished we wanted the black image underneath to look like a shadow to their foil shape. 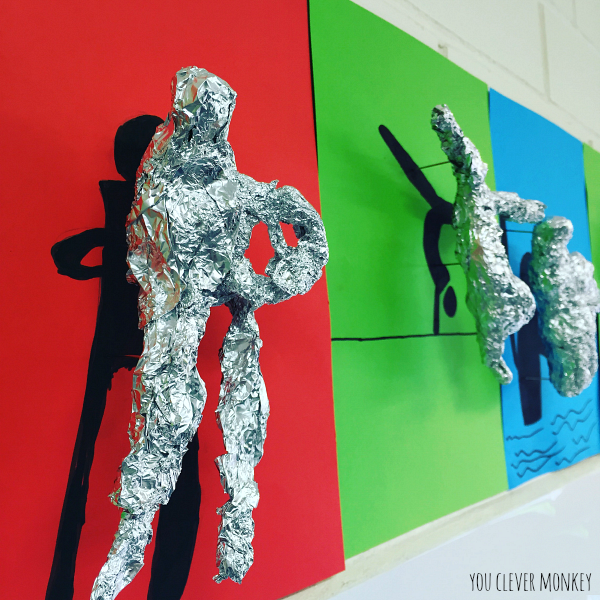 Making the foil sculpture was more challenging than many of the expected but they showed great persistence to complete them. 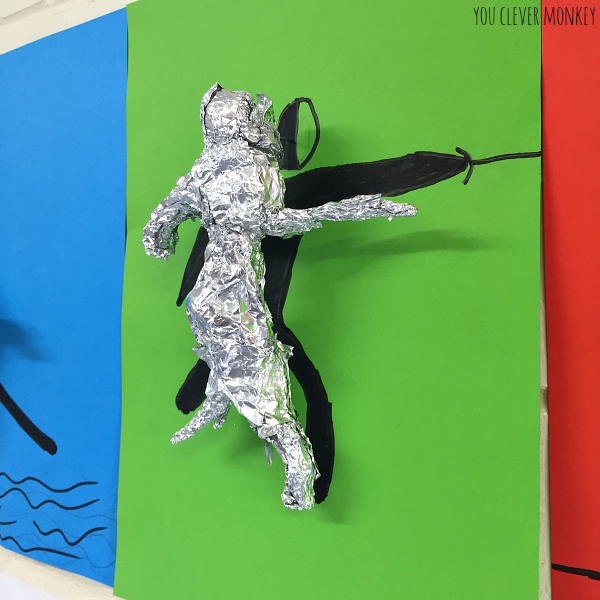 We then used pins pushed through the back of the card stock and into their sculpture to suspend them in front of their matching Olympics pictogram.